I am sure that the current warmer spell has given us all hope that Spring is just around the corner and we can all look forward to longer days with hopefully plenty of sunshine. We were delighted to supply the flowers for another Ship’s homecoming in February. This time it was HMS Richmond who was returning home to Portsmouth from a 7 month deployment. Sally and Clare are now getting used to early morning trips to the dockyard to meet the launch boat transferring the 60 bouquets and 20 single presentation roses which had been pre-ordered by members of the Ship’s Company to give to their loved ones on disembarkation. The pictures below show the boxes of flowers waiting to be loaded onto the launch at 6.30 in the morning and the bouquets and roses with their appreciative presenters and recipients. The Fifties inspired event saw Brides and accompanying family and friends being entertained to a ‘fashion show’ of wedding dresses whilst they enjoyed a champagne afternoon tea. Unlike traditional cat walk fashion shows, the models walked between the tables so that Brides could see the dresses and accessories close up. It was great fun to be involved in such an innovative event with such positive feedback from all those who attended. A couple of weeks ago we held our first ‘tailor made’ workshop. 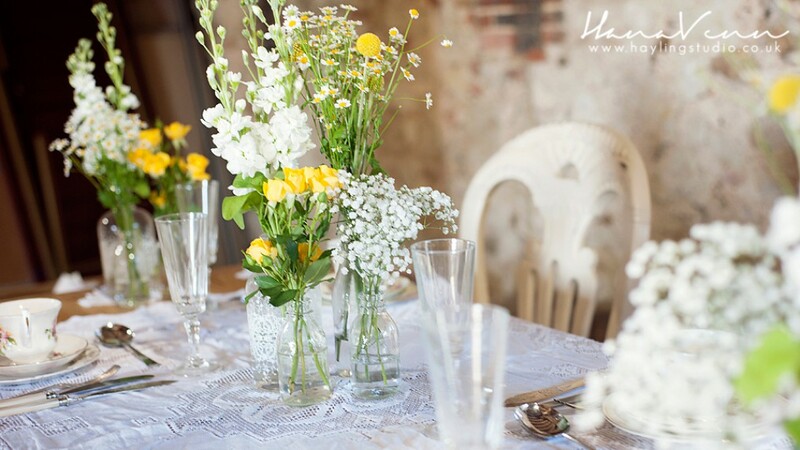 Two of our customers had requested a workshop in which they would learn how to make bridal arrangements. Lead by our in house florist Rebecca Warwick the ladies made bouquets, buttonholes and corsages and as you can see from the photographs were pretty pleased with their achievements. If you would like a workshop designed to your own specifications do let us know. Looking forward to the coming weeks we are to, once again, supply plant material for the annual Florimania event at Hampton Court Palace over Mothering Sunday weekend, we are hosting another of our highly popular Bridal Flower Open Days on 5th April followed by a demonstration on Saturday 12th April entitled ‘Listening in Colour’ by NAFAS Area Demonstrator Gill Smaggasgale. Please visit our Events page or click on the following links to see full details of these events. This entry was tagged bouquets, HMS Richmond, Langrish House Hotel, Roses, Royal Navy, Ship's Homecomings, Twirl Bridal, Workshops. Bookmark the permalink.